Return of the Jedi month continues as we examine the amazing and fascinating SOUNDS of ROTJ! With this third movie, Lucasfilm sound maniac Ben Burtt began to take on a much larger role in not only design the film’s rich soundscape but being more hands on in every aspect of what you hear. 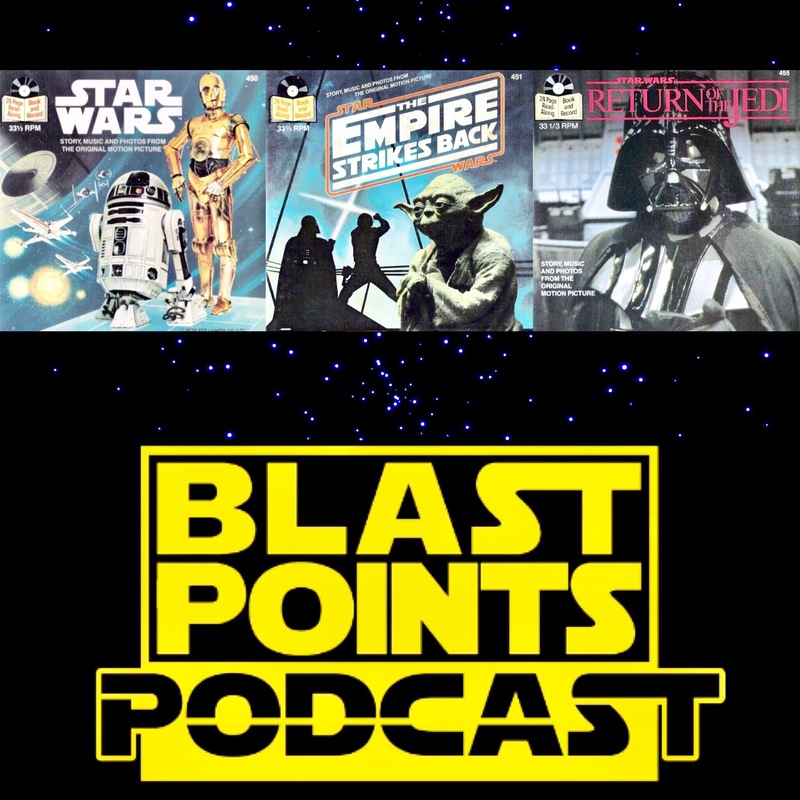 Join us as we explore that rich history and go way in-depth on 37 of ROTJ’s most classic sounds! From burps to Frankenstein to an unborn child’s heartbeat… we go over it all!! PLUS : Awesome listener voice messages on why YOU love RETURN OF THE JEDI! So call up Grandma Vodka and celebrate the love with BLAST POINTS! PLUS : Tom talks about his amazing experience with Magic Wheeler at San Diego Comic Con! So keep painting that puppet movie’s hole in the sand and celebrate the love with BLAST POINTS! This week Jason and Gabe discuss the both on and off screen continuing Star Wars influence and mystery of Return of the Jedi director Richard Marquand. From his hiring, to who else could have gotten the job, major plot and character decisions he made, filming and his role is post production, Blast Points sheds some light on this often sadly overlooked contributor to Star Wars history! PLUS! there’s talk on that Last Jedi world series ad, international poster, Snoke’s Shadow People buddies, more Sammy Hagar and so much more!!! So drive your Ferrari to the nearest salad restaurant and celebrate the love with BLAST POINTS!! !